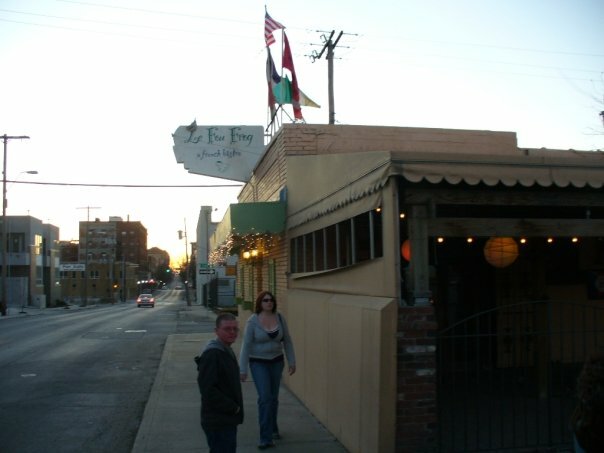 Scooter’s 533rd bar, first visited in 2009. French restaurant on the edge of the River Market neighborhood downtown. the dining area is in the back, in front is a friendly little bar that isn’t anywhere near as pretentious as one might think a bar in a French restaurant would be. In case you are wondering about this photo, this was a scavenger hunt where we had to get bartenders to pose like this.